Ladakh is a place in the country which is worth exploring; there are a lot of things to do and a lot of places to visit here. This land has never disappointed its visitors with its towering peaks along with the snow covered mountain ranges of the Himalayas and the Karakoram ranges. One can find the rapidly flowing rivers of Indus and Zanskar along with its numerous streams that are formed by the glaciers from the mountains, tucked amidst the lush valleys.All of them appear magical to a traveller. There are plenty of reasons why one would love Ladakh, but there are many other places in the country that are equally welcoming, beautiful and breathtaking. As a person who would love to travel, you owe yourself to visit all of them at some point of time. Take a look at some of the places which are worth skipping a trip to Ladakh. Looking for a place that is away from the hustle and bustle of the outer world? If so, then without much thoughts head straight to the small hamlet of Laitmawsiang, which is located in the Khatarshnong Laitkroh block of the East Khasi Hills in Meghalaya. As the name, this place is lesser known, but more beautiful. Located at a distance of 42 km away from Srinagar, Doodhpathri is a beautiful location that has rolling green meadows, which come together at the riverbeds. The place has one of the most attractive meadows which one would come across and is a must visit. Looking for a holiday destination in the state of Uttarakhand, but you do not want to visit the usual clichéd places that attract a large number of people. If you are not in for Nainital and Mussoorie, well then we have Abbott Mount for you. It is one place where you would be the able to enjoy the calm and peaceful atmosphere that would give you a rejuvenating holiday. Said to be older than the majestic Himalayas, the Girnar mountain range is located near Junagadh, at a distance of 327 km from the city of Ahmedabad. The place is home to a number of temples and also to some historical spots across the entire range. Nestled in the lush greenery one can find the Gir forest. Located between Tibet and India, the Spiti Valley truly resembles a mythical kingdom in the Northeastern part of Himachal Pradesh. Spiti is so charming that anyone can transform themselves into a photographer, all thanks to the picture perfect landscapes which are found at this place. Tinkitam is the natural habitat of the diverse varieties of orchids along with the large scale cardamom plantations. The town offers a breathtaking view of a dormant volcano, which you can see as you trek your way up to the Tendong National Park. The heavenly land which is pollution free, is located above 3500 ft from sea level. 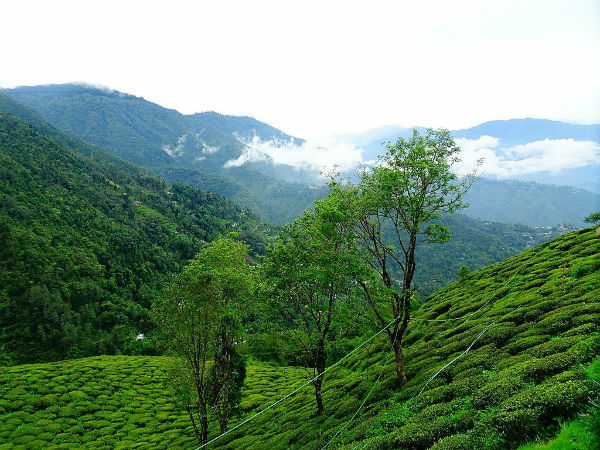 Valparai is a hilly retreat situated in the Anamalai mountain range, which is filled with beautiful meadows, pastures, valleys, grasslands and waterfalls. One amongst the largest natural caves in the state of Andhra Pradesh and the second largest in the country, the Belum caves is a perfect location for those who would love to explore the caves and be lost in a daydream.